Photo of the day is another from Raiders of the Lost Ark. Meal time on set. 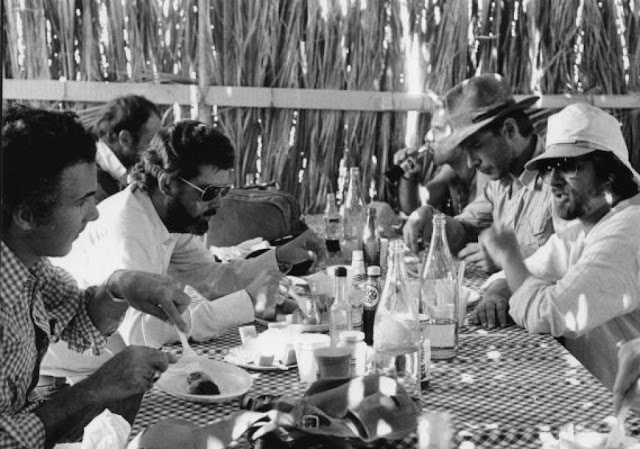 During filming in Tunisia, nearly everyone in the cast and crew got dysentery or food poisoning, except a wise Steven Spielberg. He insisted on only eating out of cans that were shipped in from England.